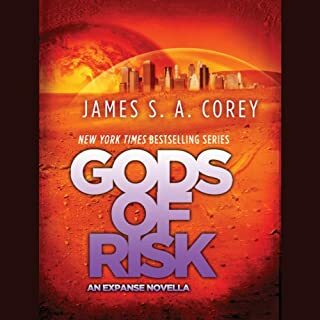 The fifth novel in James S. A. Corey's New York Times best-selling Expanse series - now being produced for television by the SyFy Channel! 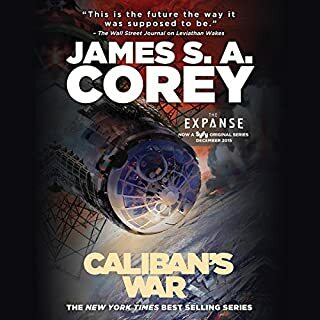 This arc of the Expanse series is nerve-wracking in its disconnected connection. while every novel starts with separate stories converging slowly, Nemesis Games ratchets up the tension by disassembling the once-solid crew of the Rocinante and slowly, painstakingly showing the reader that the parts are not as stable as the whole. To the very end, I worried about the fates of the now-beloved crew. One of the best so far! 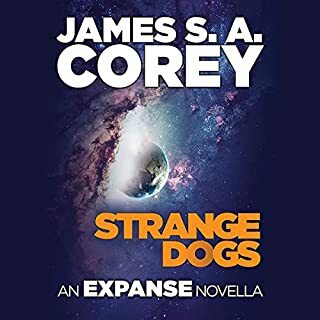 This novel really turns the universe of the expanse on its head. Can't wait for the next book. 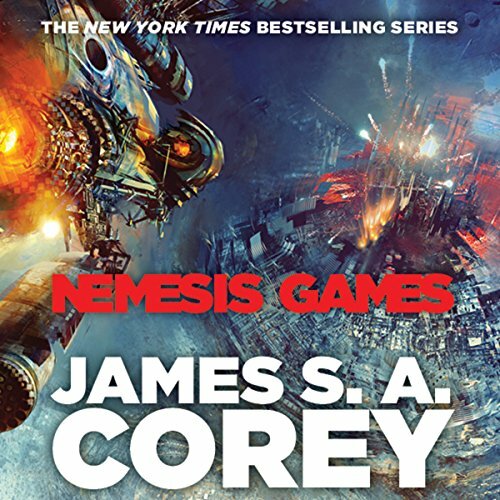 Nemesis Games returns the Expanse series back to top form. With the Rocinante in serious need of repair due to the events of Cibola Burn, the crew disperses to take care of personal matters. At the same time humanity takes some big steps toward self destruction and things in the solar system go from bad to worse. Four storylines full of character background revelations bear witness to catastrophic events from different perspectives with Amos on Earth, Alex on Mars, Jim on Tycho Station, and Naomi elsewhere in the belt. Each story is an individual thrill ride until they are all eventually woven back together toward the end of the book. Once the stories do come together it becomes obvious that there is more behind the events than meets the eye, but those details are left dangling for a reveal in the next book. It is a blast to get more insight into the background of the Rocinante's crew with a healthy dose of Bobbi and Avasarala on top. Nemesis Games is a great all around story that any fan of the series won't want to miss. 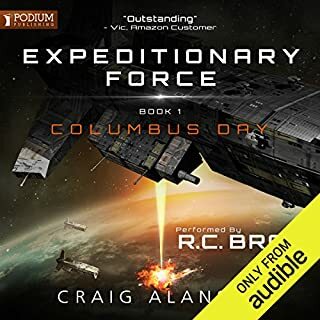 If you decided not to go for Cibola Burn because of the negative feedback on the narrator change then just skip it and come straight here. You will be glad you did. 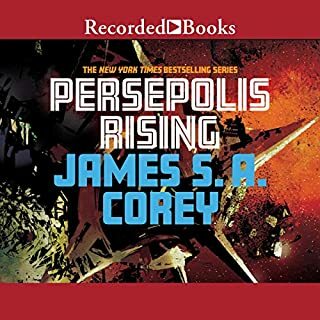 After a disappointing prior book, Nemesis Games returns the Expanse series to fun form, though it increasingly seems like each book is written as an action movie (perhaps no surprise, given the TV adaptation) rather than the hard-ish science fiction that characterized the first couple of novels. That's not necessarily a bad thing, I really enjoyed the story, but you should know what you are in for. 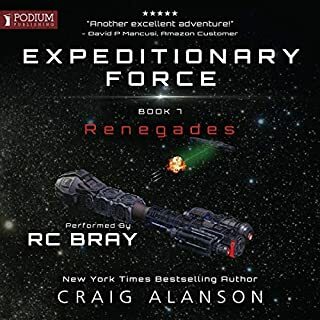 As an action adventure movie, this book is terrific: there are narrow escapes, thrilling fights, and giant set piece events scattered throughout. The characters we have grown to love all get to star in their own adventures, and get to be clever and resourceful in their own ways.The bad guys are mustache-twirllingly bad, the good guys articulate why they are good in stirring speeches, and everything feels remarkably satisfying. There were times where I couldn't stop listening to see how the next cliffhanger was resolved. As a more realistic science fiction novel, there are a number of problems. First, the entire plot is laid out clearly and telegraphed repeatedly (the writers seem to have taken the advice about Chekhov's Gun to heart - almost every character or subplot introduced in the book plays an important point in the plot later). The science behind the fiction is also dropping a way a bit, as ever more implausible events happen to propel things forward. Strangely, however, the events are not implausible enough either: the giant galaxy-spanning mysterious aliens plotline takes a backseat to Solar System heroics, for better or worse. Also, though each character gets a lot of "screen time" and some revelations about their past, actual character development remains rather slight, and the musings on family and crew are nothing new to the series, nor are the psychopathic bad guys. 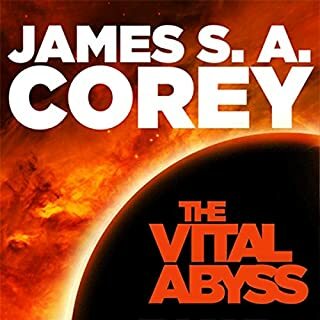 For some reason, the producers used a different narrator on the last Corey novel. This wouldn't be so bad if the characters Mr. Mays interprets were not becoming his own. Mays ability to act the various characters really brings these stories to life and in so doing makes some of the less interesting moments of the story compelling. 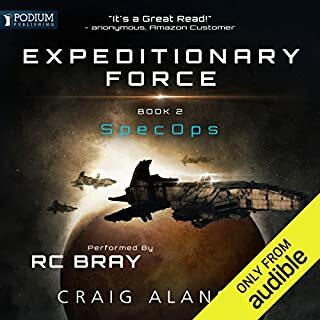 Nemesis Games sets up another adventure for the crew of the Rocinante, broadening our knowledge of the main characters and compels the listener to happily anticipate the next in the series. A shorter story than its predecessors, it delivers with great cliff hangers, faster plot development and pacing. I enjoyed this story and think any fan of the series will too. Wish I could give it 10 stars and I sure wish there were more of these. When you get to my age and have read so very many books and a clearly outstanding series like this comes along... well, it is sweet. I like what they are saying: 'like Game of Thrones but with more space ships and less beheadings'. Same kind of grab on and don't let go stories. Happy to see Jefferson Mays is back as the narrator. First, yes, Jefferson Mays is back as narrator. 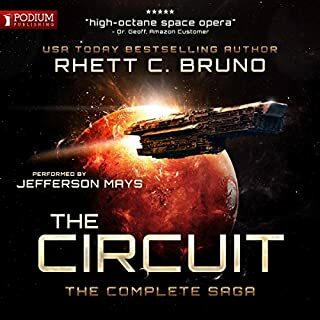 While I didn't personally think the narration of Cibola Burn was all that horrible, it is nice to have Mays back. 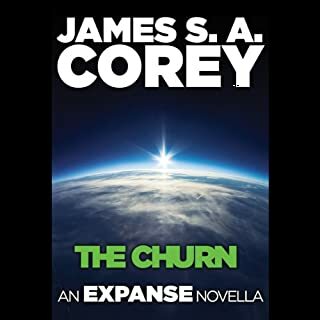 Second, I felt this series seriously running out of steam after Cibola Burn. The series felt artificially stretched and was starting to show definite signs of losing the punch that made the first three books so memorable. I am here to announce that Nemesis Games represents a massive right-turn for this series. For the first time the crew of the Rocinante is split up and scattered, each to tell their own story and give us some much needed background. 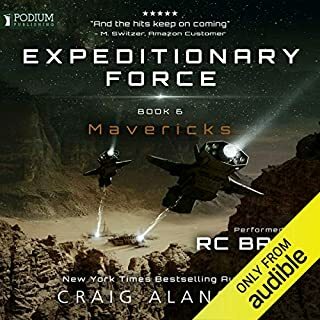 These personal journeys are set against a backdrop of interstellar war that makes all the previous conflicts seem like minor skirmishes. As always, these stories are steeped in modern day social issues, racism and economic equality, etc. While a few familiar characters from previous novels return, there is no new cast guest stars here, which I found added a level of complexity to this novel, easily making it most personal of the series. Five big BIG stars for Nemesis Games. 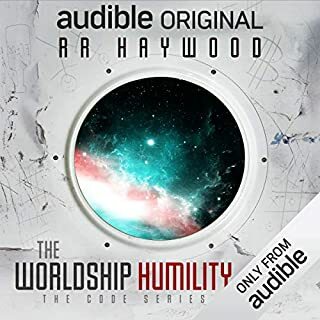 Where does Nemesis Games rank among all the audiobooks you’ve listened to so far? Pretty high, the story is solid and Jefferson Mays does an excellent job narrating, making none of the mistakes that can pull you out of the story. I like that we get to see a bit more of the major players' backstories and that they're given room to grow by being separated through much of the book. Laughed out loud when our favorite foul mouthed politician was given a pet name. 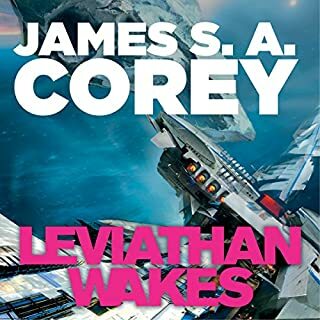 This is my favorite series, every book is different, I never know where they're going to take the story next, but wherever it goes, I can be sure I'll enjoy the ride. 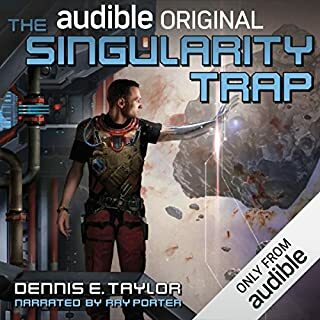 And Audible - if you're paying attention, maybe think about going back to the previous volume and having Mays do an alternate narration - I'm sure I won't be the only one to buy it. 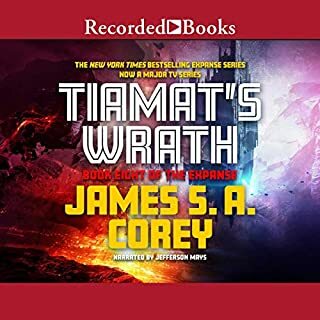 A number of reviews have commented that is basically a filler book and, while there is some truth to that, I see it more as a transitionary novel, one that explores into more depth of the Rocinante's crew other than Jim, i.e., Amos, Alex and Naomi, and, along the way provides a compelling story involving a fanatical renegade spacer group that sets out to wreak havoc on terran-based humans for ignoring the continued livelihood of the spacers over their own self-interests. It also uses this conflict as a means to segue into another major story-arc that builds from the prior proto-molecule threat. I deducted it one star for it's over-the-top sensationalization of Earth's destruction. 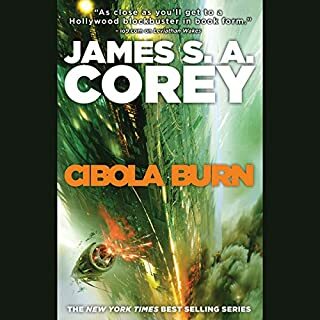 While the previous book, Cibola Burn, had fantastic ideas on a new planet. The book and story itself seemed to meander. 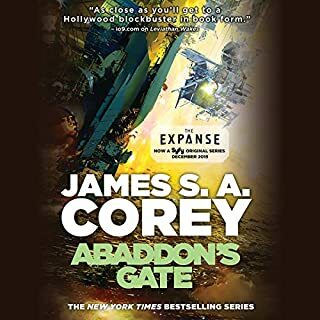 It felt ovely ambitious in a way that seemed to lose some of the real, gritty feel, that was unique to The Expanse series. By the end of the book the only take away was that new colonies would succeed. But so what? By the end of that book it felt like all of it could have been condensed into a prologue for the setting to this one. Nemesis Games, gets back to the basics that made this series great. All of the characters we've grown with over the past 4 books get time to shine. This time, Holdin is put in the back seat. He has his moments, but just as it is in his character to hide nothing, we already know him. He shows some of the ways he has grown as a character during this book. But this book is more about Amos, Alex and more importantly Nyomi. She has always been a mystery, and finally she gets more time to be highlighted as the true badass she is. Nymoi is not to be taken prisoner by her past, by Jim or by an cliched trope of the beautiful badass. The risks are greater than they were on New Ilus. Even though this book wholly takes place back in the Sol system, the dangers are reimagined and and entirely human. Proof that we are more dangerous to ourselves than any alien weapon...we have had millennia of destroying ourselves. The protomolecule may have been designed, created, to cultivate new systems. But were have an even more proficient capability of expasion and destruction, and it's in our very DNA. 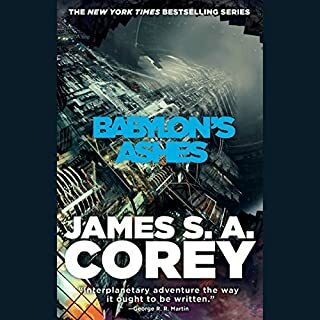 This book almost felt like a hard reboot after CB, and it makes me optimistic that the Corey team have realigned their compass for the next book(s). Mayes was superb, as always. I would probably rank this book as my second favorite, just after Abbadons Gate. the book itself was really great as well, loved the fact that the crew were the ones it focused on too!